I just finished my three month apprenticeship/internship at Tammy Hart's Bloodstock Barn in Callahan, FL. The two main things that my mentor made sure I learned was discipline and that if I wanted to go far in the horse industry - I needed to prove it. So I did. Every day I drove an hour to Callahan to feed the horses, turn them out, and muck stalls. Then I would work on a project (cleaning an overgrown round pen alone, putting up stalls), put the horses up for their dinner. This prior week (February 20th - February 24th) I was under sole charge of her barn while she was away at a competition. March 8, 2019 - started Senior Dressage Working Student with Marta Renilla. 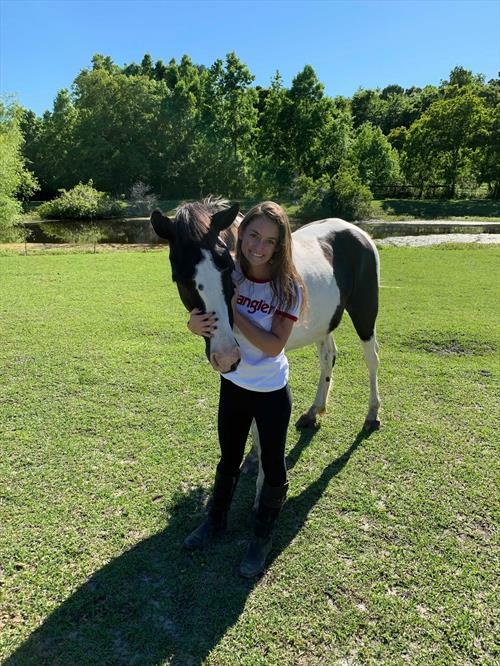 (03/08/19 - 04/22/19) started Senior Dressage Working Student with Marta Renilla.